So you’ve decided to learn French? Génial! French is a beautiful language, the language of romance and love. It might take you some time and effort to master it, but the benefits will be worth it! Learning French, or any other language for that matter, can be a very rewarding experience. However, it can also be a very time-consuming and frustrating process, depending on the way and means by which you are studying it. Learning French shouldn’t be a struggle. It might not be the easiest language out there, but within a few months of active learning, you can definitely reach a conversational level. 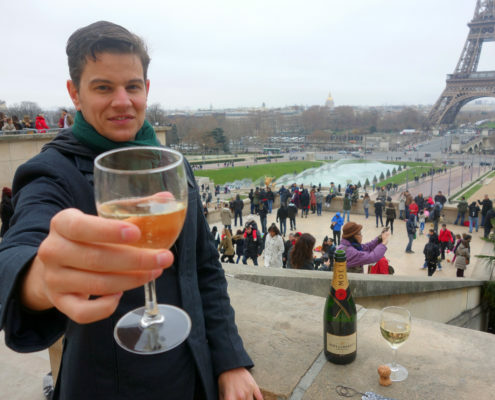 I’ve been learning French for three years now and will share with you 7 tips which have helped me in my learning experience. This blogpost was originally published as a video, watch the original video here. The very first step in any language learning process is deciding that you will make the effort and put the time in to studying a new language. There’s no magic formula! Learning a new language takes time, dedication, hard work, and one can face some frustration sometimes. When you start something new, usually, the novelty of it keeps you interested. Even little progress that you make, helps keep you be motivated for studying further. But, what happens when the novelty wears off, and when you don’t see yourself making that progress that you want? Maybe, you get stuck for a while, you’re not moving forward as fast as you’d like. Or, you’re just struggling with a specific language feature – remembering a word or a grammar rule. Things such as these can make language learning very frustrating. You need to have something that will encourage you to keep going. How can learning to speak this language change my life? Will it help your career? Do you want to make traveling easier? Do you want to challenge your mind? Want to surprise your loved ones? Do you want to meet people from other cultures? Is learning French on your New Year’s resolution list? Whatever your reasons might be, remember them in moments when you feel stuck, or when you experience frustration. It is very easy to give up when your motivation wears off. Make sure you find what motivates you, maintain your momentum and press on, because learning French has many benefits. Don’t give up! No motivation to learn French? A trip to France might help! It is important that you find good learning material. When you are searching for some books and available learning material, try to find resources which avoid teaching you challenging grammar rules or hard words at the very beginning. It is very easy to start feeling overwhelmed when you first start learning French. Languages, usually have over a hundred thousand words, but speakers use only a fraction of them for everyday communication. Only focus on the vocabulary that you think will be useful for. There’s no need to waste time and energy on difficult, long words that you will hardly ever use, especially in your first few conversations. What you do for a living, etc. Once you are more comfortable with the new language, and you reach a point where you can hold a simple conversation, then you can try learning more difficult things. This is easier to achieve and maintain, if you first focus on simpler things that will help you to reach a conversational level in French. Don’t try to learn everything in the beginning, instead focus on what really matters. 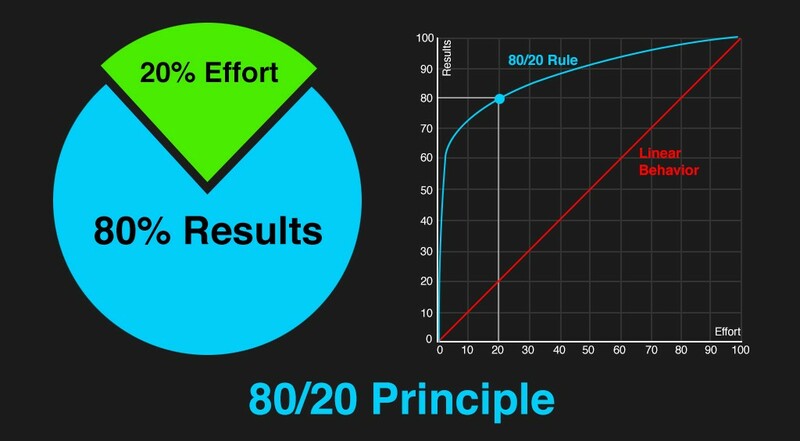 The 80:20 rule states that 80% of the results comes from only 20% of the work. When you are starting to learn French, focus on common words or phrases, usually used by native speakers in everyday life. Leave more difficult things for later, in order to avoid becoming overwhelmed! Our brains remember things better once we place things in context. The more connections we make when learning a new word, the better and longer we remember it for. That’s why I like to learn a whole phrase or a sentence which contains the new word. That way, you’re making connections between words, and often even learning a grammar rule, if you look at the way the sentence is formed. Anything that builds connections to the new word. Learning things in context will help you remember them better and for longer. It will also help you learn them quicker. 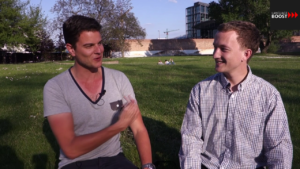 How many times have you heard people (or yourself) say that they learned a foreign language at some point, but haven’t used it for a while and now it’s long forgotten? This is because our brain will push back information that it doesn’t need and eventually, forget it, in order to make room for new information. Learning new vocabulary is one thing, but it only becomes part of you when you start using it. Activate new vocabulary by using the new words that you learn! Another reason you should use what you learn is to not forget new things so fast. It’s very similar to physical exercise. Say that I want to get in shape, so I start exercising. I put in all the hard work to reach a certain level of fitness that I am content with. Then, all of a sudden, I decide to take a break. So, I rest for a few weeks, a month… If I try to get back to all of my activities I was undertaking prior to taking that break, all of a sudden I will notice that I’m not in very good shape any more. I haven’t used my muscles in the same capacity, so my muscles have relaxed. The same thing occurs with our language skills. In order to remember what you learned, it’s important to use it, and use it regularly! Do not simply study but use new words and grammar structures to ‘’activate’’ them in your brain. If you don’t make use of your new learning, you will lose it! Make sure you always use what you’ve learned so that you avoid forgetting it. Make up your own sentences using the words you’ve learned and revise them often until they become second nature to you. Use the words you learn and it will be easier to active your vocabulary. Use what you learn to ”activate” your French. Here I’m ”using” my French about 3 years after I started from scratch. There are many reasons why I am a strong believer that you need to learn French (and any language) using audio. As I have already mentioned, when learning a new word, you need to make as many connections to it as possible. The more connections you make, the easier it will be to memorize it and remember it later in your conversations. You can observe the word visually and add audio to it. In this way, you make another connection to the word. Not only are you learning proper pronunciation, but you’re also building more connections, which will make memorizing the word easier. There is another reason why you need to learn French with the help of audio. There are languages in which words are written closely or exactly in the way they are spoken. We call these “phonetic languages”. This makes learning these languages a bit easier. As you can see in the example of the word above, the written word looks different to way in which it is pronounced. For this reason, it’s important to learn French with audio assistance so that you can get the pronunciation right. When you learn French, I strongly advise you to use audio, along with all your visual aids. Listen and read the word at the same time. This will help you to learn the word faster, remember it longer and pronounce it correctly. Try to make your language learning, a part of your daily routine. It will help you stay motivated and will keep the things you’ve learnt fresh in your mind. It is better to set aside 20 minutes everyday, as opposed to learning once or twice a week for an hour. At the beginning, it might be tricky, but after a few days, it will become part of your daily routine. I prefer to study for 20-30 minutes everyday before going to bed. At that time I don’t have any distractions and find it easier to focus. Find a moment during the day and a place that works for you. It is often said that repetition is the mother of learning. As far as language learning is concerned, it most certainly is! 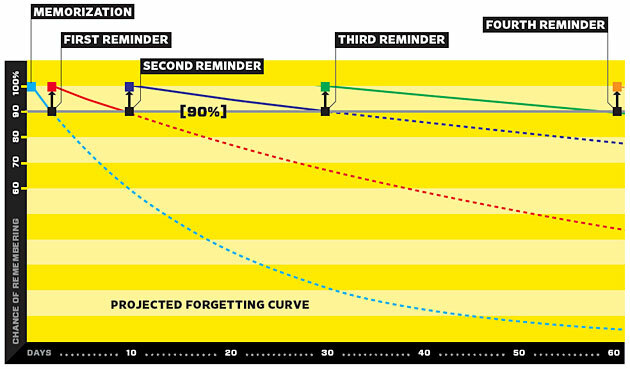 70 to 80% of language learning is achieved by repetition. You don’t need to constantly be learning new things. It’s often more important to reactivate your passive vocabulary. Just imagine the frustration when you forget new words that you have learned, after all the time and effort you’ve already put in! Surely frustrating, right? Well, there’s a simple cure for that. Repeat, repeat and repeat. Once you learn something, you need to use it, revise it, review it as often as possible. This way you memorize it more easily. You might need to see a word over 5 or 6 times in order to memorize it. If the words are long, the pronunciation is difficult and you struggle with memorizing them. The key is to look at the word and hear it enough times that it becomes very familiar to you. This way, it becomes a part of your vocabulary. When you first start learning French, it’s helpful to use flashcards. They are a handy tool to help repeating words or phrases you’ve learned. After a while, when you reach a conversational level of speaking, you can start reading different texts written in French to refresh and expand your vocabulary. A lot of repetition is required if one is eager to learn a language. While you are learning new words, make sure that you reactivate your passive vocabulary as well.It’s not so important to constantly be learning something new. It’s more important to not forget those things which you have already learned. If you’ve made the decision to start learning French, there are some things that will help you on that journey. Stay motivated! Motivation will keep you moving forward, and the lack of motivation will slow down the learning process. Focus on first things first! Don’t try to learn everything at the very beginning. You don’t need to learn very complicated words or difficult grammar which is not used in everyday language. Focus on key phrases that you feel will help you to reach a conversational level faster. Learn in context. The more connections to the word that you make, will help make it easier to remember and harder to forget. Use what you’ve learned. Make up new sentences using the words you know. The more you use them, the less likely you are to forget them. When learning a language, use audio tools along with visual content. This will help you memorize things faster and pronounce the words correctly. Set aside time daily for your language learning. You don’t need to take daily lessons, just take some time to review what you’ve already learned. Repeat, repeat, repeat. Repetition is truly the mother of knowledge. If you want to learn how you can become conversational in French in a matter of weeks, click here and sign up for our FREE 3-Part VIDEO Training Series. Sign up for our FREE 3-Part VIDEO Training Series and learn how you can become conversational in French in a matter of weeks! How Learning French Can Change your Life How to Learn Vocabulary – 7 Polyglot Tips!